I have heard and read many greats reviews on this business so I decided to give it a try and was definitely not disappointed! 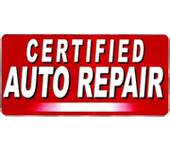 I took my daughters' car in to get serviced and from beginning to end, they were very professional and courteous. As a female, I always get the feeling of condescension when I take my car in but at Car Care USA, they took the time to explain and made me feel reassured that I took my business there. 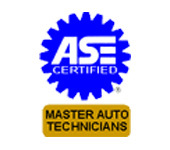 Their service was very reasonable and affordably priced and our car runs great! I will highly recommend them to friends and family! Thanks!! This place is awesome! They have taken care of myself and my wife for years now. John C., John G, Robert, and James...all of you are great! My wife's SUV has over 160,000 on it, and these folks are helping us to keep it going strong. I'd trust them with any work I need done, because they go above and beyond. Very fair and honest. That's exactly why I drive clear across town just to get to them. I'd recommend anyone to give them a look. Excellent service always and great staff. Followed the General Manager for years. Thanks for the great work. Friendly staff! They were honest and truly care about customer service. The guys at Car Care USA are reliable, honest, and friendly. They always do a good job on my car and are happy to do it.